The Freight Transport Association is backing Heathrow, as the hub airport and Gatwick go head to head in a bid to win permission from the Airports Commission to build the UK’s next major runway. 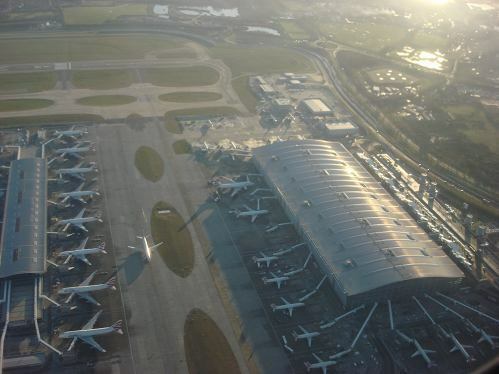 Heathrow and Gatwick airports have both unveiled revised expansion plans. A third option, also at Heathrow, aims to extend one of the runways. The final bids come after the Airports Commission published a review into the UK's needs in January. The FTA believes the Heathrow third runway option would be ‘good news for freight’ and double the capacity at Heathrow’s cargo area. The airport plans are said to support UK freight exports, and state that the redevelopment would allow for modern access points including the potential for cargo railhead, offering faster, more efficient cargo movements at the hub, which would improve the UK’s export competitiveness and maximise economic benefits. FTA’s ‘Sky High Value’ report underlines that 95% of air cargo is carried in the belly-hold of passenger aircraft; air freight accounts for nearly 40% of UK imports and exports by value and employs 39,000 people, most clustered around Heathrow.